A Date For Your Diary Ladies! That’s next week ladies! Places are limited so grab your tickets before its too late, call 01744 894214 to secure your place! As the No.1 Self Tanning brand in the UK, Clarins extends its offering with an innovative, new formula to meet the continuous demand for a product that delivers a year round, natural, healthy, radiant glow. A natural formula that provides all the benefits of a self tanner without the draw backs! It’s high-precision dosage works with any day or night cream to deliver made-to-measure results. Simply add three drops to your daily moisturiser and apply to your face in the normal manner. 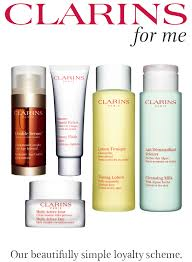 Formula is compatible with all Clarins face care products. A 100% safe ultra-simple step for a radiant sun-kissed glow that is incredibly natural-looking. 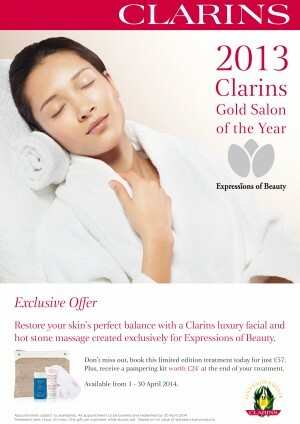 As our Clarins Gold Salon of the year for 2013 is during to an end we have an exclusive treatment for you! Book in for a Discovery Tri Active Facial & Hot Stone Massage & you will get a FREE gift at the end of your treatment. 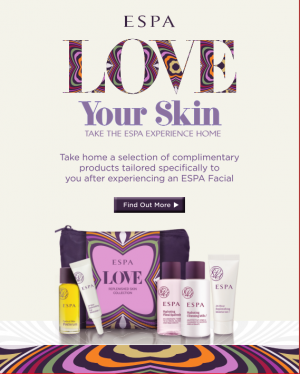 Take home a selection of complimentary products selected specifically for you by your therapist after experiencing an ESPA Facial. For every £10 you spend on Clarins products, you receive one ‘C’ point which is worth £2 when redeemed against Clarins products of your choice. The more ‘C’ points you collect, the more valuable your gift becomes. The total retail price of your ‘free’ Clarins product must be covered by the value of ‘C’ points saved on your CLARINS for me card. 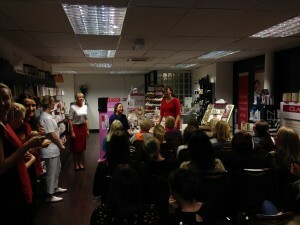 You may even have forgotten that you have a CLARINS for me card with us. So next time you are in the area pop in to the salon and check the points on your card… you never know, you may be able to claim your FREE products from Clarins! Your Clarins for me Card is waiting for you!